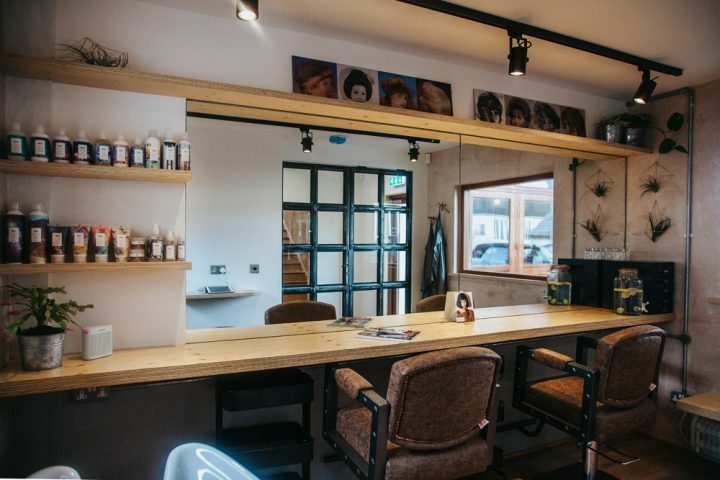 A stylish Newquay restaurant with 2 AA Rosettes - and now a Muddy Award to boot! 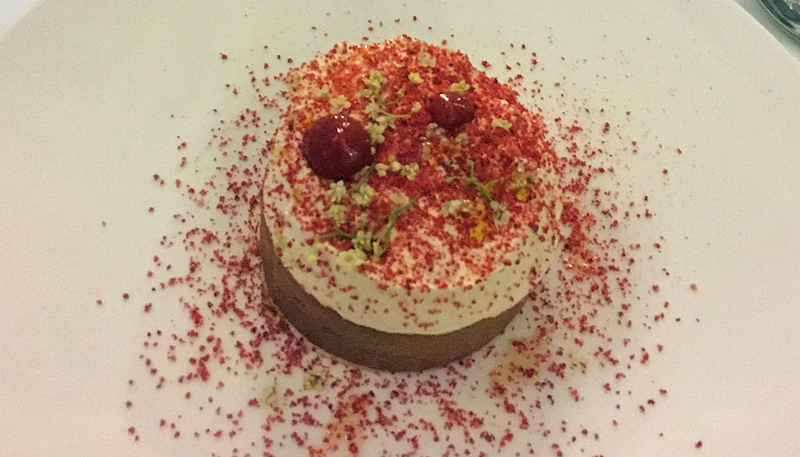 I love sharing a new dining discovery with Muddy readers and was halfway through my review of Samphire at The Headland Hotel, when it only went and won the Muddy Award for Best Restaurant! 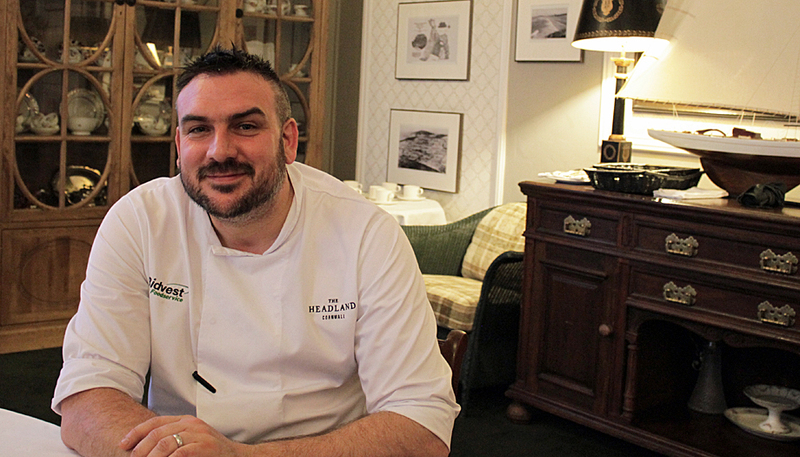 I was invited, along with several other journos and bloggers, to attend an evening with Samphire’s head chef Christopher Archambault a week or two ago. It began, as all the best evenings do, with posh G&Ts in the sea-view lounge (the limited-edition Tarquin’s gin, with elderflower and grapefruit was a revelation in itself). Then we were treated to an incredible 8-course taster menu, with thoughtful wine pairings, as a showcase of what Samphire is all about. 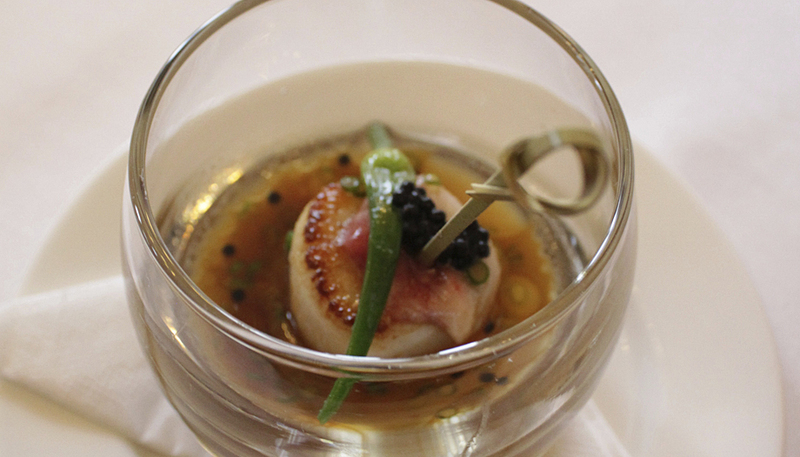 Like a mouthwatering mix tape, most of the courses were small (but not too small) versions of favourite dishes from the restaurant’s menu – so I can confidently recommend the lot! 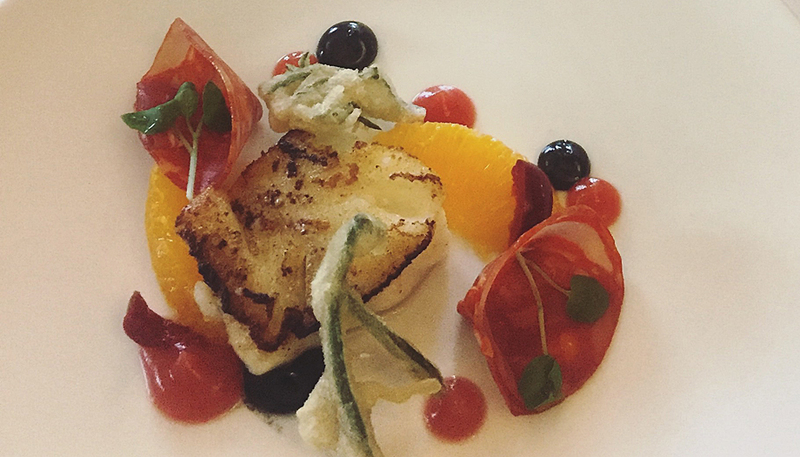 Think seared diver scallop with bone marrow, leek scapes and caviar; cod with chorizo, blood orange and squid ink mayonnaise; curried monkfish with soba noodles and mango and aged rib-eye with ox cheek rissole. 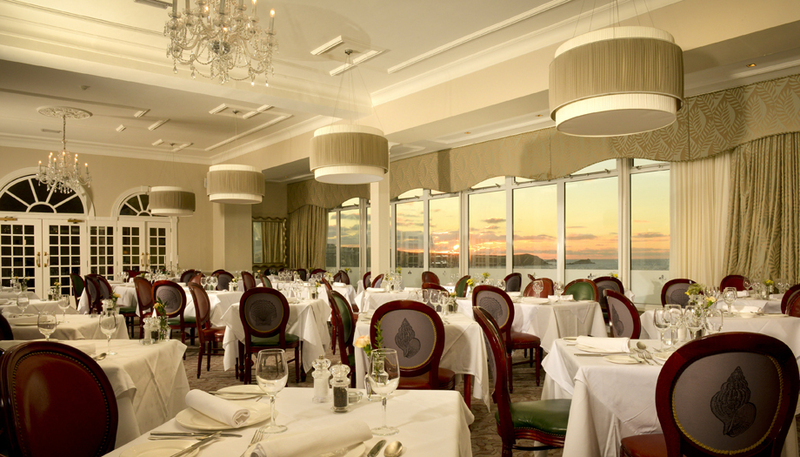 The dishes featured lots of amazing seasonal and local ingredients, like sea spinach and samphire, foraged just a short walk away, on the headland the hotel is named for. We finished with desserts so good they made me giggle (does this happen to anyone else?). 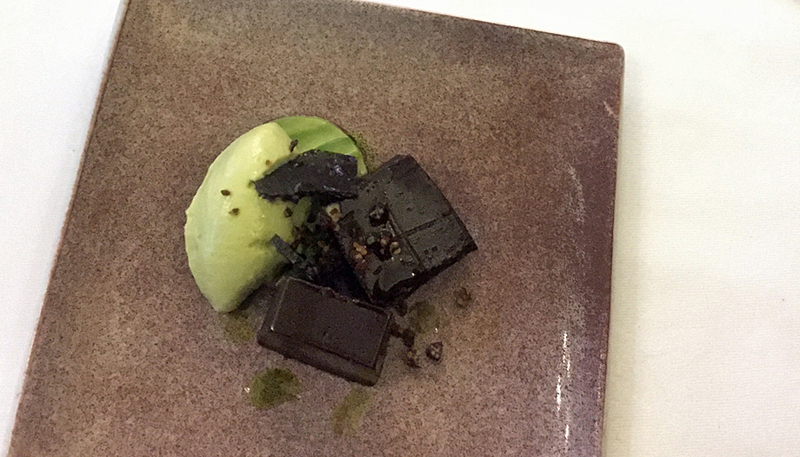 As a bit of a chocolate fiend, I loved the rich, dark chocolate, avocado and lime dessert so much that I felt slightly bereft when it was over. But only until the strawberry and elderflower cream tart arrived, which was one of the most delicious desserts I’ve had in a very long time. This summer-on-a-plate pud, was basically a delicate ring of pastry, filled with strawberries, rhubarb and strawberry sauce, with a little macaroon hiding in the middle and topped with lightly whipped, elderflower cream. Finally, we squeezed in a mercifully miniature savoury cheesecake, made with an intriguing new black truffle brie from Cornish dairy Rodda’s. Phew! 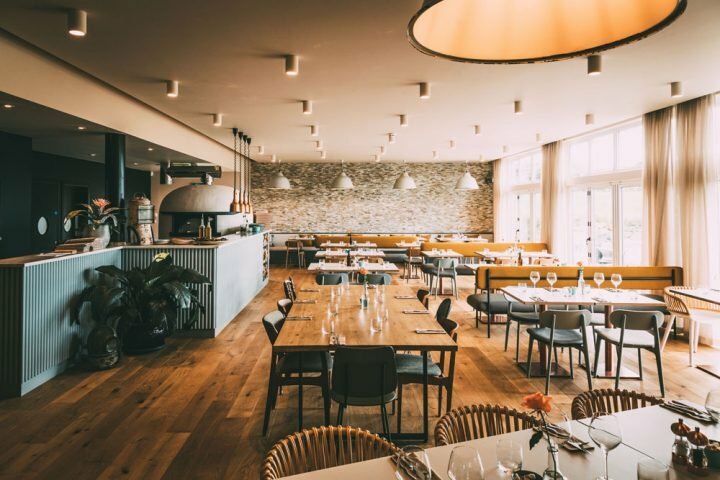 Perfect for a special occasion, the restaurant is located inside the main hotel building, with a classically elegant dining room and beautiful views out to sea and across Newquay’s Fistral Beach. Canadian-born exec chef Christopher Archambault came to the multi-award winning hotel in 2015 and has been refining the menus here over the past two years, with his fresh take on seaside dining. As testament to his hard work and vision, Samphire was awarded 2 AA Rosettes last year. It’s the sort of place where life seems to slow to a leisurely pace and you’ll want to take your time over dinner and wine. Talking of wine, another star of the restaurant team is the charming and encyclopedic, sommelier Kevin, who regaled us with grapes, tanins and notes throughout the evening. There’s an ideal wine for every dish on the menu and the team will be only too happy to guide you to the perfect match. If you choose to stay over, the individually decorated rooms are super comfortable and you can also enjoy the facilities in the recently revamped spa – the first in the region to receive a ‘Five Bubble’ rating. Accolades all round then! You’ll just have to go to find out what all the fuss it about. Good for: A special evening out. 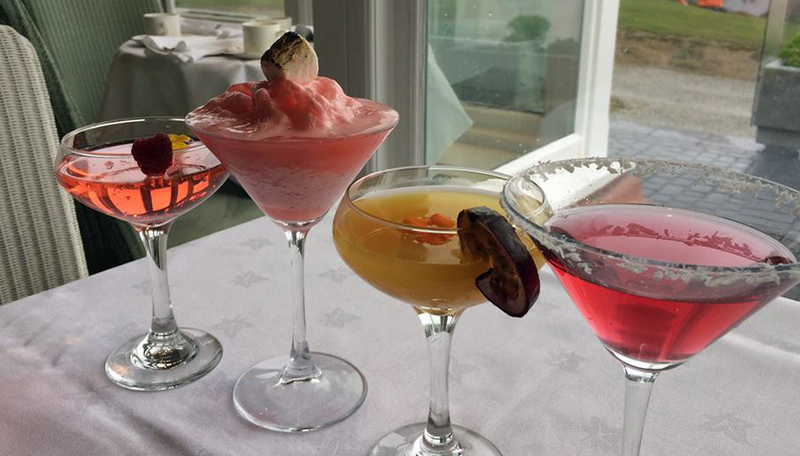 To make the most of the experience, I’d recommend arriving with time to sample The Headland’s fantastic cocktails, then relax over a few courses and some great wine. Not for: Children are very welcome at The Headland but I’d ditch younger ones for dinner at Samphire – the setting is fairly formal and you won’t want to feel rushed. 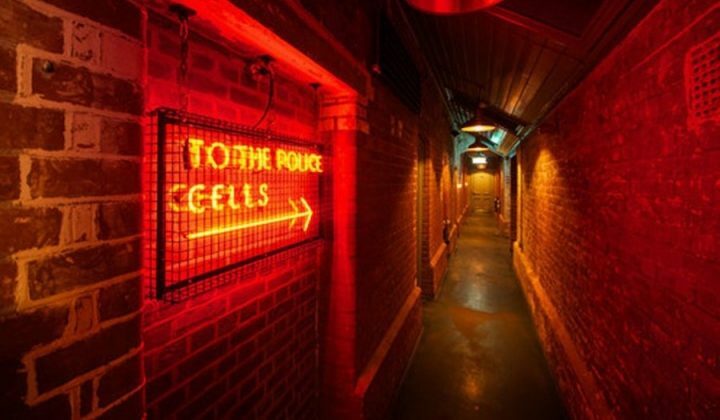 ££: There are pricy but impressive dishes on the restaurant’s à la carte menu but you can expect to pay £30 for two courses or £36 for three courses, if you order from the Table D’Hôte menu (which features several of the dishes above). And a special THANK YOU!! to fellow Cornwall blogger Laura of Cocktails & Wanderlust, who came to my rescue when my camera turned all my pics an odd shade of green and let me use some of her fab photos.